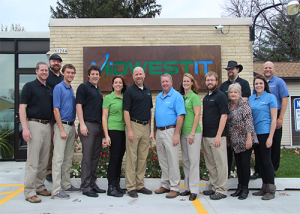 Midwest IT Solutions is the premiere go to source for IT Support, IT Help and IT Managed Services as a provider serving the Pleasant Springs, Dane County in Wisconsin. Midwest IT Solutions specializes in helping a wide variety of clients from lawyers looking to gain an edge on their competition, insurance agencies, and small businesses of various sizes. Midwest IT Solutions services include Cirrus Cloud Services which includes up to date hourly snapshots of workflows as well as an offsite backup to secure data and fast recovery times in case of data mishaps. Midwest IT also offers network management which includes virus and malware protection, employee monitoring solutions, disaster recovery and backups, and comprehensive IT monitoring. You can rest assured that with the Midwest IT Solutions experience you are backed by experienced experts who can handle all your computer support, helpdesk support, and technology support needs. Midwest IT Solutions services all your IT helpdesk needs as a leading IT company providing outstanding care as computer consultants for all your IT business needs.